At Bristol Artificial Lawns we pride ourselves in excellent customer service and fantastic product range. 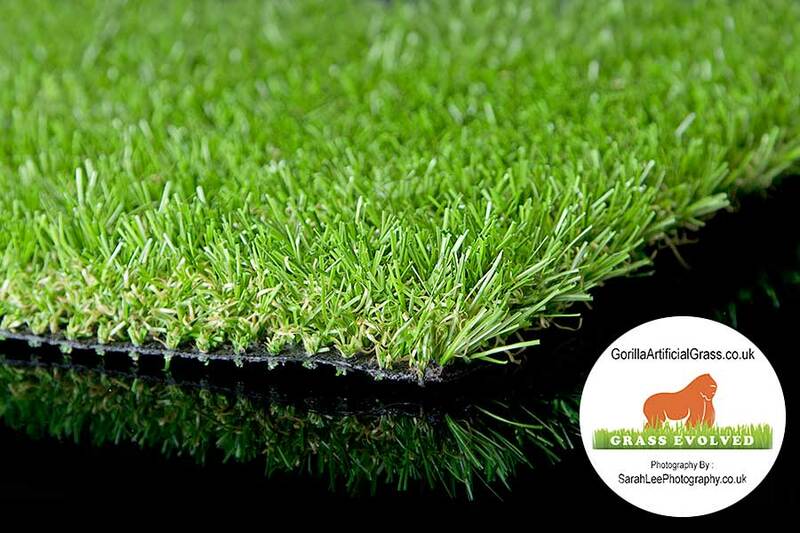 We currently stock a great collection of Gorilla Grass approved artificial grass for all sized projects. If you want to rejuvenate an area into a green haven then get in touch with us today. We will advise you of the best products from our range and we can arrange an on-site inspection to give you a free, non-obligation quote. We are proud of the quality of the artificial grass products that we supply. We are so confident in the durability of our grass that we offer a 10-year guarantee! 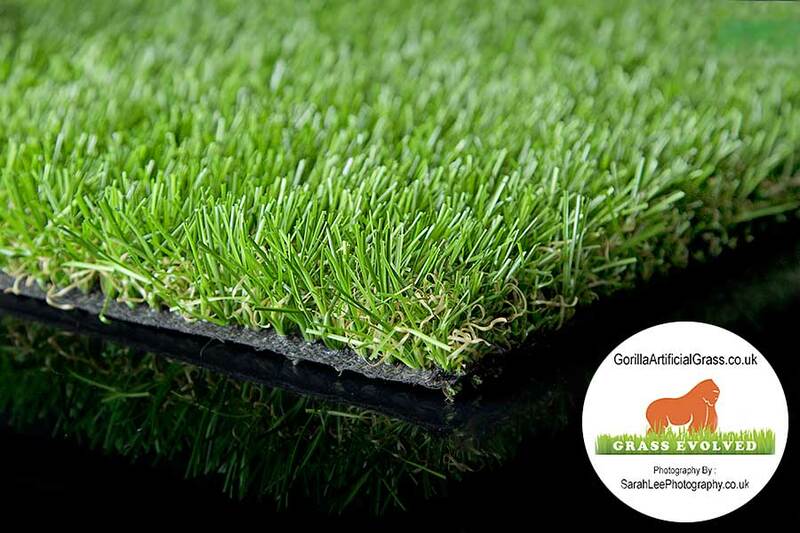 The backing of artificial grass is a vitally important structural element and ensures the product’s quality and durability. 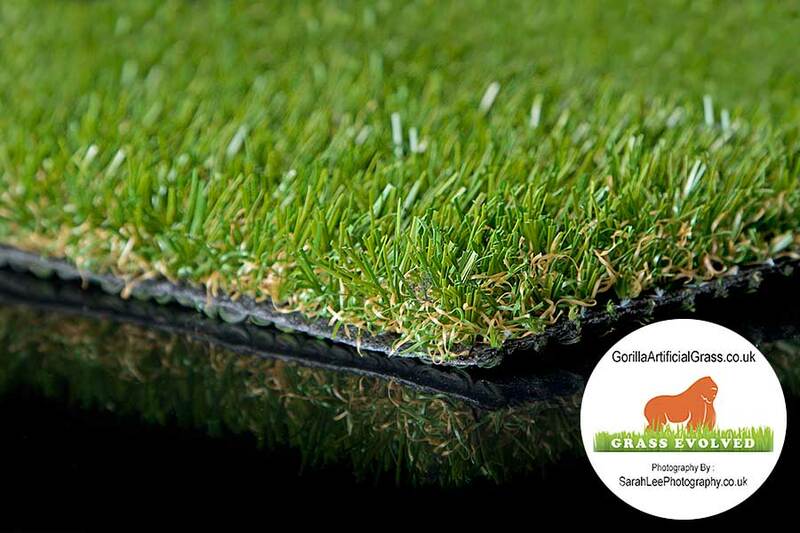 Gorilla Grass promises a quality, thick layer of latex backing on all of our products. The grass that we have available has superior and considerably more latex backing in comparison to many competitor’s products. 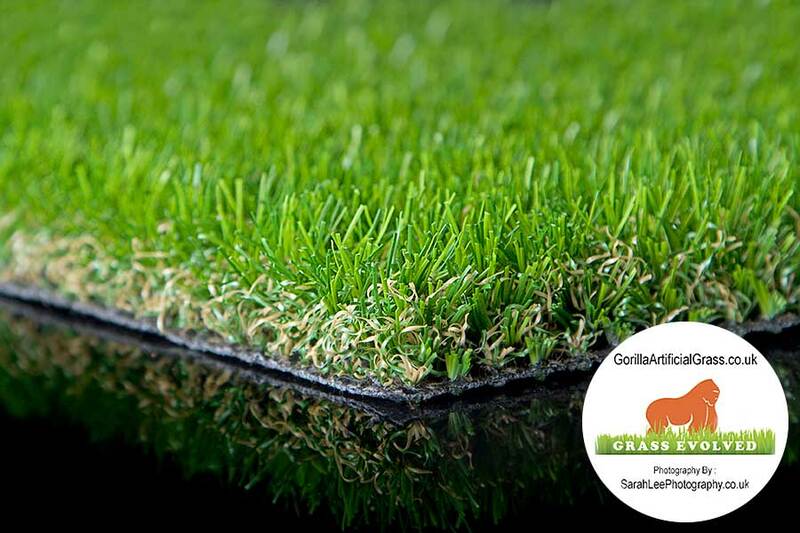 A unique and innovative pile anchorage system known as ‘C shape’ is used on artificial grass products here at Gorilla Grass. This technology provides a closer stitch rate that offers improved structural stability. The stitches on all Gorilla Grass products are neat and sit flush to the backing, whereas the stitches on some competitor’s grass can be more ragged and protrude from the backing. Although being a cheaper method of producing artificial grass, poor quality stitching will lead to a far shorter life span. – Polypropylene is the least expensive of the three and is highly effective for sports products because of its coarse texture. – Polyethylene can be used to balance out the coarseness of polypropylene as it creates softer grass. 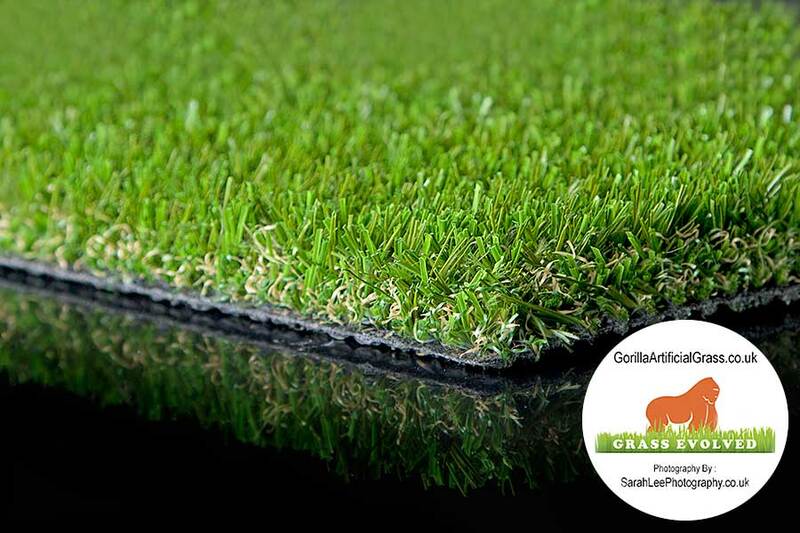 – Polyamide (nylon) is the most expensive material available for the production of artificial grass and it produces a strong and resilient grass fibre.